A protractor is a geometry tool that measures the angle between two intersecting lines. For example, a protractor can measure the interior angle of a triangle, or a hexagon. 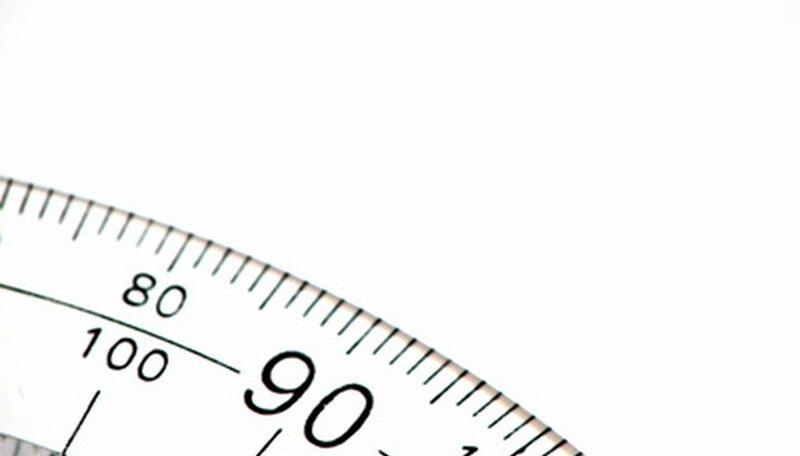 One limitation of a regular, semicircle protractor is that it can only measure through 180 degrees. The bevel protractor solves this problem by having a movable arm that can extend to measure through 360 degrees. In addition, the bevel protractor is more accurate than a regular protractor: it can measure within 5 minutes (a minute is 1/60th of a degree). Unscrew the large clamp on the front of the protractor. This loosens the blade, so that you can swivel it. Align the base of the protractor on one side of the angle, and them swivel the blade to form the other side of the angle. Tighten the large clamp. Find the zero on the vernier scale. 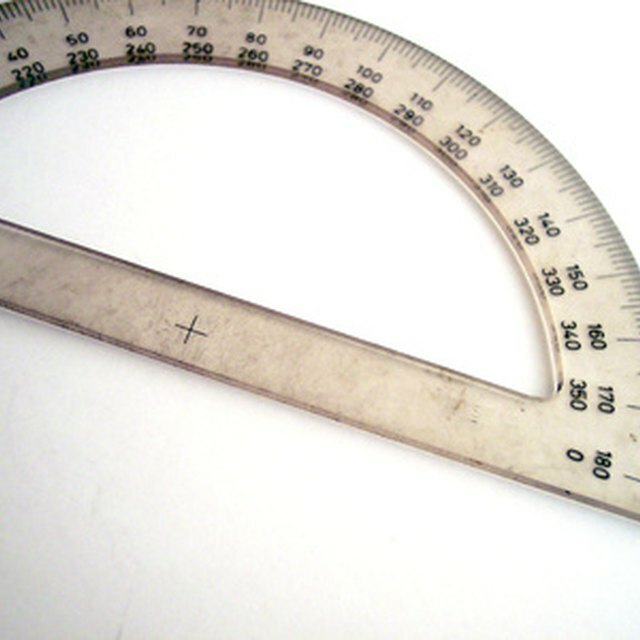 The vernier scale is the smaller scale on the inside of the protractor. Read the number of degrees on the main scale, directly above the zero on the vernier scale. Say, for example, the zero on the vernier scale lines up with the 85 degree mark. Read the minutes on the vernier scale. The minutes are found by looking counterclockwise on the vernier scale, and noting the first place where the line on the vernier scale lines up (exactly) with the line on the main scale. For example, the first line to match up with a line on the main scale is 30. This is measured in minutes, so the measurement is 30 minutes. Add the degrees from Step 4 to the minutes from Step 5. In this example, the answer would be 85 degrees, 30 minutes. Always read from zero on the vernier scale. The vernier scale marks are 5 minutes apart, and are only labeled every 15 minutes: if the first line to match up isn't labeled, count from the zero mark in fives. Ellen, Stephanie. "How to Use Bevel Protractors." Sciencing, https://sciencing.com/use-bevel-protractors-2675.html. 24 April 2017.